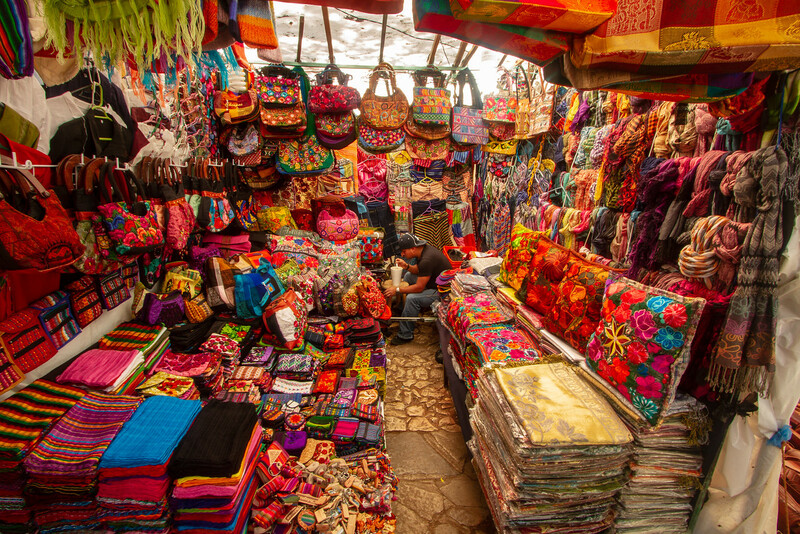 The Artisan Market in San Cristobal de las Casas offers an amazing mix of everything from Amber Jewelry to Zapatista Dolls. Most of the products are hand produced in the villages surrounding the city. The lively market is located on the grounds of the Santo Domingo Church and is laboriously set up every day and taken down each night. I have been to Chiapas and am glad that you took the picture of those particular textiles because they are so lovely and I was thinking about importing them to sell online in the US. Wanted to find a picture to send to friends and this one of yours is great!